Home / STORE / Naasgransgarden. 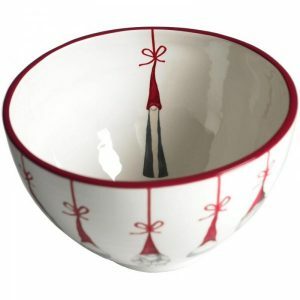 / Tomte Bowl. 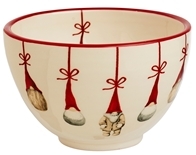 These adorable Bowls have Nisse & Tomte painted around the edges and one inside the delicate bowl. They can be used for a range of ideas such as for trinkets, Tea-lights or condiments.